The DVD Dump Bin feature returns! 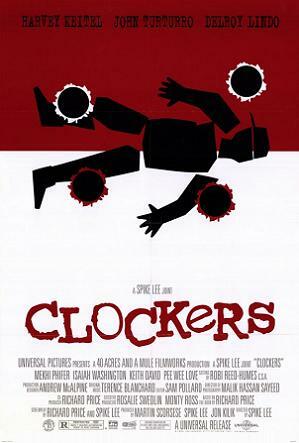 Without further ado, Clockers, a crime film from Spike Lee. The 1990s had a tremendous amount of excellent, high profile crime films: GoodFellas, Heat, Menace II Society, and Reservoir Dogs to name a few. At the tail end of "hood film" boom of the early 90s, Spike Lee directed and Martin Scorsese (Shutter Island) produced Clockers. 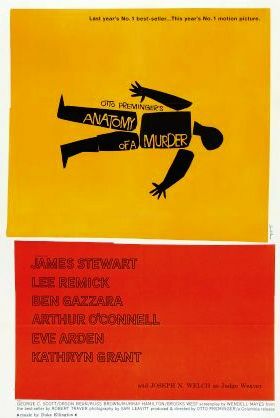 The film opens to still photos of recreated crime scenes, in full grisly glory. Unlike other films in the genre, it's clear from frame one, that this film is not going to glorify crime or use it as a vehicle for cheap thrills. The film cuts back and forth between the stories of Strike, a small time drug dealer, and Dets. Rocco Klein and Larry Mazilli, a pair of homicide detectives who suspect Strike may be involved in a recent murder. Strike (Mekhi Phifer) sells dope for the neighborhood boss Rodney (Delroy Lindo), whose personality switches from charismatic father-figure to ruthless killer at the drop of a hat. Throughout the film, one comes to suspect many of his encouraging speeches to Strike may in fact be rehearsed lines he uses on all of his runners. The film's greatest strength, it's ambiguity. Strike is a drug dealer, but he is likeable, and it's clear he doesn't care much for the profession - he's constantly downing pepto-bismol. The detectives too, are ambiguous characters. Though Mazilli (John Tuturro, Secret Window, Spike Lee's "go-to" racist) constantly uses racial slurs and only cares about getting easy busts to close the case, his partner Rocco (Harvey Keitel) is much more complex. Though Rocco too engages in racial epithets, he is much more thorough in the murder investigation and likely to give perps the benefit of the doubt, at least until they intentionally cross him. Perhaps he is a strict professional, maybe he really wants to make a difference. It's never explained. Neither for that matter, is the murder definitively answered. Classic Saul Bass poster. Homage or rip-off? The film was adapted from the book of the same name by Lee and author Richard Price himself, so it's easy to see why the film is long. Clocking in at 2 hours 9 minutes, the duo likely tried to include as much nuance as possible from the 600 page source material. This occasionally leaves the film meandering as it weaves the various story lines together. Secondary characters and story lines include: a stressed out father (Isaiah Washington), a housing police officer (Keith David, The Thing), a hitman with AIDS (Thomas Jefferson Byrd), a middle schooler enamored by street life (Peewee Love) and cooked cop willing to go on the take (Michael Imperioli) all round out the cast. Through these story lines, the film touches on many contemporary social issues other than drugs. The film constantly reflects the trend of gangsta rap replacing positive rappers, young children are seen much more interested in violent video games than non-violent toys and alcohol advertisements appear throughout the film. "Drugs are bad" even the film's drug dealers will admit, but they are likely related to the culture at large. This film is really a "lost classic." It has great performances, deals with drug culture in a very non-sensational way, and features some great, stylized cinematography, particularly during flashbacks and interrogation sequences. It's a shame that the DVD transfer isn't great on the single disk version. The film does contain a fair amount of violent content and language, but all but the most reserved of adult viewers shouldn't let that stop them from watching this excellent film. Highly recommended, even with its sometimes sluggish pace.